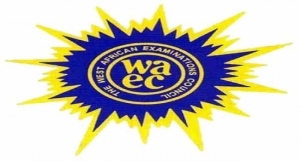 The West African Examination Council (WAEC) says there has been a 14.3% improvement in candidates’ performance in the May/June 2016 Senior School Certificate Examinations. 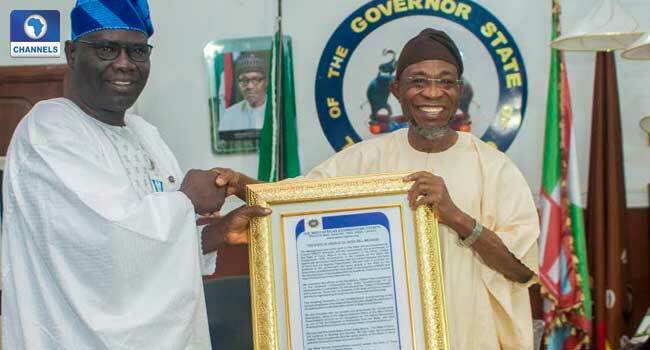 The Head of WAEC in Nigeria, Mr Olu Adenipekun, said this while announcing the release of the results at the Council’s national office in Lagos, southwest Nigeria. Mr Adenipekun disclosed that more than 800,000 out of the over 1.5 million candidates that sat the examination this year had credits in 5 subjects including English and Mathematics which allows them to process university admissions. He acknowledged that the performance was better than that of 2014 and 2015 where the percentage passes were 31.28% and 38.68% respectively. “WAEC will not compromise, WAEC will just come out and give you the assessment as they were, without changing the standard” he said. 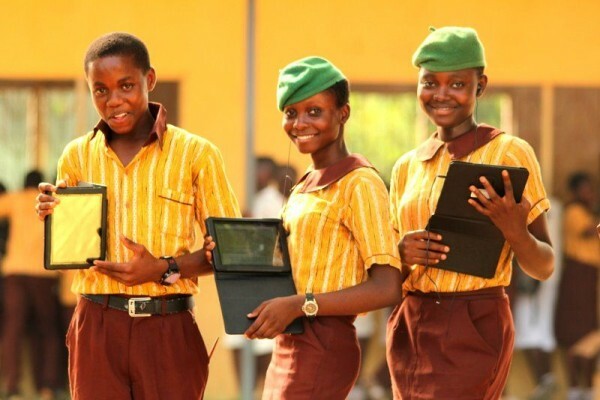 The WAEC official lauded the candidates for their improved preparation for the exams in 2016 which he said had reflected in the results, compared to the previous years. He also extended the credit to the teachers, the government and various stakeholders in the education sector that have contributed one way or the other to the success recorded. Mr Adenipekun further appealed to the stakeholders to ensure that the trend of improvement was sustained and expressed hope that a greater feat would be made in 2017. The result of sponsored candidates from 13 states, indebted to the West African Examination Council (WAEC) are being withheld. The WAEC’s Head of National Office, Dr Charles Eguridu, told journalists in Lagos on Monday, that the withheld results may be released, as soon as the council gets its payment from the schools. 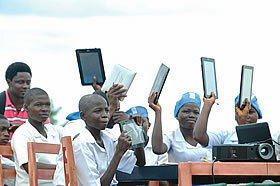 Among those who sat for the examination, 864,096 were male, while 729,346 were female. The examination body has fully released 94.01 percent of the total results for the May/June examination. 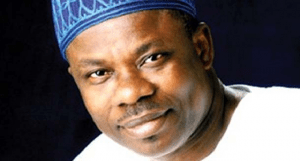 The Ogun State Governor, Ibikunle Amosun, says he has ordered the immediate payment of about 500 million Naria the state owes the West African Examination Council (WAEC). Speaking on behalf of the Transition Committee Members, Mr Majid Ekelojumati of Ijebu North, promised not to betray the confidence reposed in them by the people of their respective Local Governments. 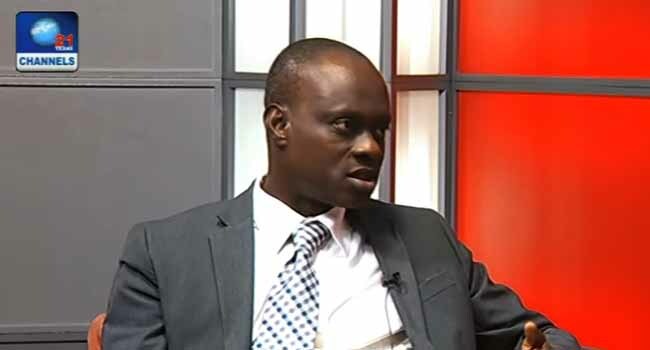 A Nigerian lawyer has asked the government to identify individuals in opposition parties contributing to the increasing insecurity and prosecute them. 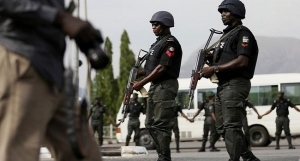 Mr Ahmed Akanbi’s comments on Thursday are coming a day after the Federal Government blamed opposition political parties for insecurity in the land saying “if the parties have done well in states under their control, Nigeria could have been a more peaceful country”. Maku’s comment, according to Mr Akanbi, is a deliberate blame game that had been on since the insurgency in the north east began, stressing that there is complete distrust between the Federal Government and the Borno State government. He said that the situation had become a tale of two elephants fighting and the grass suffering, insisting that if the blame game continues, it will be extremely difficult for insurgency to be combated. “There is a Latin phrase which says that ‘in unity there is victory’ and as long as they keep speaking with different voices for reasons that may not be too obvious to us, the Boko Haram will continue to exist. “The blame game has to stop at some point,” he stressed. The blame game had escalated since over 200 girls were abducted from their dormitory at the Government Girls Secondary School in Chibok, Borno State. 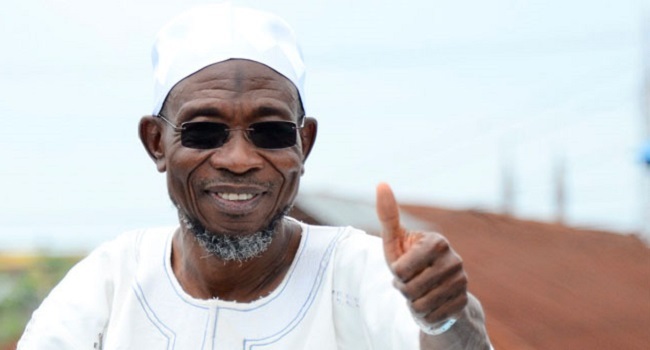 Mr Akanbi was of the opinion that the West African Examination Council (WAEC) should not have conducted the examination without evidence that security personnel were on ground to protect the girls. As the letter originated from WAEC to the Borno State government and the government in turn wrote to the commissioner of police. “If WAEC know that Borno State was not safe for the conduct of exam, why did they continue with the exam? They might as well hold back on the conduct of that exam. “If somebody tells me to go and conduct an exercise and I know that place is not safe and I do not have any written documentation to guaranty my safety, why would I go there? I won’t go there,” he said. He expressed dissatisfaction with the contradictory statements from government officials and security personnel and called for effort to be made to ensure that they speak with one voice. “People involved in the Bring Back Our Girls campaign have been accused of politicising the campaign, but are Oby Ezekwesili, Femi Falana, Adisa Bala-Usman and all the Nollywood stars involved in the campaign members of the opposition? “We have been told that the governors of the state are responsible for the insurgency. If it is the opposition, has any arrest been made? “The Minister should not make bare statements devoid of any factual basis and that is what we are saying. People should stand up to their duties. “I look up to my President for leadership, succour and protection, but when the president moves in a different direction and an official working under him moves in another direction, who do you believe,” he said. Mr Akanbi called on the government to stop the blame game and take more drastic actions to end the insurgency. The National Chairman of the PDP, Adamu Muazu, believes that the Borno State Governor as the Chief Security Officer of his state should do more in the search for the over 200 Chibok schoolgirls. In an exclusive interview with Channels Television and his first major interview since becoming the Chairman of the PDP, Mr Muazu feels that the Chibok situation has been used as a political tool. 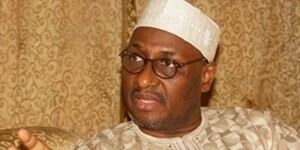 The PDP Chairman spoke with our correspondent, Betty Dibia in South Africa. He made reference to the warnings that preceded the Chibok incident which should have prevented the State Governor from allowing the school to host exams but which he refused to heed. 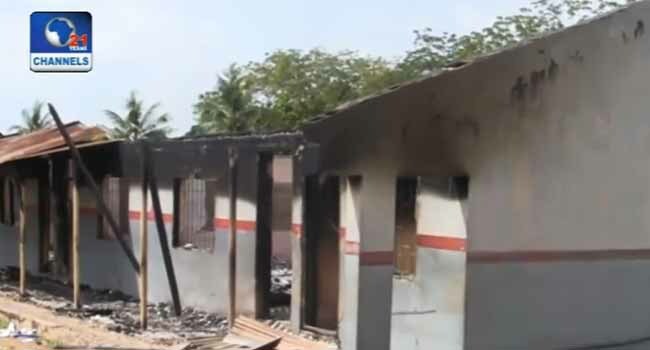 Muazu cited warnings by the Ministry of Education and the West African Examination Council, WAEC, expressing their fears and the view that the school was not suitable but which the State Government met with assurances of adequate security, only for the attack to be successfully carried out by the insurgents. He, therefore, condemned the idea of the Governor traveling abroad and speaking to foreign media organizations and divulging what he saw as issues of Nigeria’s governance. The First lady Dame Patience Jonathan has set up a committee to investigate the abduction of over 200 girls in Cbibok, a community in Borno State. 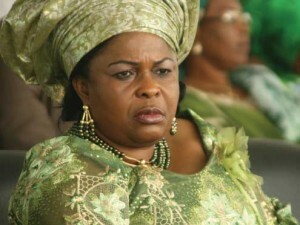 In an in depth meeting with wives of governors, female legislators, and leaders of the various women groups in the country designed to unravel the circumstances surrounding the abduction, the First Lady was told by the head of the West African Examination Council, Mr Charles Eguridu that the Borno state government rejected the request by WAEC to relocate the over 530 students that wrote the examination to a well secure center where adequate security was guaranteed. He said contrary to widespread belief, Chibok Government Secondary School is a mixed school which necessitated the registration of 135 male students out of the 350 registered for the examination. After the incident, 189 students were relocated to the Uba examination center where they continued with the examination, he added. At another meeting in the office of the First Lady, with a group of women expressed their frustration and wondered if they would have got to the positions they occupy, if they were abducted as young girls. The First Lady further summoned the head of WAEC, Charles Eguruidu, who disclosed details about the number of girls that wrote the examination before the abduction, and presented the pictures and the registration details. The Borno state Commissioner for Women Affairs, Hajia Inna Galadima, who stood in for the wife of the governor, Nana Shettima told the gathering that 53 girls are currently in custody of the state government, following which the first lady set up a six member committee to be chaired by the wife of Borno state governor, to follow up on the revelations and expressed a determination to get to the root of the matter. 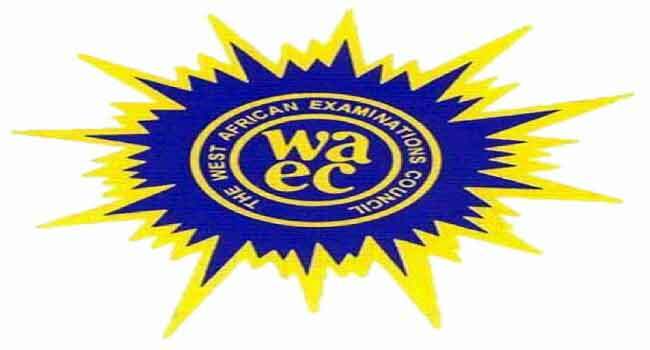 A former Commissioner of Education, Prof. Ngozi Osarenren has said that the regional examination body WAEC (West African Examination Council) is better and more effective than its Nigerian counterpart, National Examination Council (NECO). 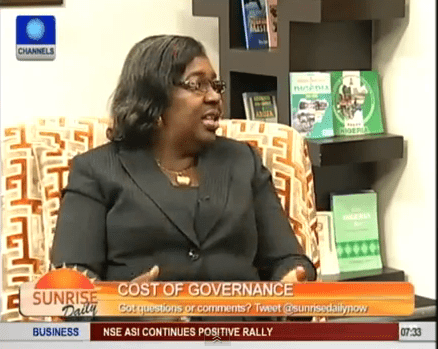 Speaking as a guest on Sunrise Daily, the Professor of Counseling and Psychology with University of Lagos questioned the need for Nigeria to have an indigenous examination body stating that the regional examination body is better. Prof. Osarenren’s statement is coming on the heels of a federal government policy to dislodge NECO and a number of agencies in its bid to cut the cost of governance. “What we should be talking about is the sanctity and credibility of our exams; not the duplicity of exam bodies.” Prof. Osarenren stated as she decried the establishment of NECO just to soothe Nigeria’s somewhat national pride for the sake of having its own national examination body. She opined that the regional examination body, WAEC is more competitive and better and can be used in any region of the continent as it is the same exam written across the West African sub-region. Prof. Osarenren confirmed that Joint Admissions Matriculation Board (JAMB) will now be assuming a supervisory role as reported by the new federal government policy. She however stated that the idea would be good only “if honesty is raised to what it ought to be” warning that just the restructuring of JAMB shouldn’t be the major but an overhaul the admission policy into the nation’s tertiary institutions. She further revealed that admissions are currently awarded on the following basis: 40 per cent on merit, 30 per cent on catchment, 30 per cent on Educationally Less Developed States (ELDS). She expressed fears that with such admission procedure, Nigeria’s educational system will never be rated world class except admissions are awarded on merit. She lamented the failure of Nigeria to be rated among the top 10 universities in Africa despite the myriad of institutions in the country.